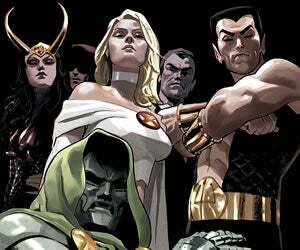 Fans feeling as if you have to buy every book that Marvel publishes in order to follow their favorite characters can take one piece of good news from the Mondo Marvel panel this afternoon: No more crossovers. Well, for awhile. That's not to say that books won't intertwine [but] we're going to focus more on individual titles and families for at least twelve months... You guys need a break, and to be honest, so do we. When we do them, they sell very well.